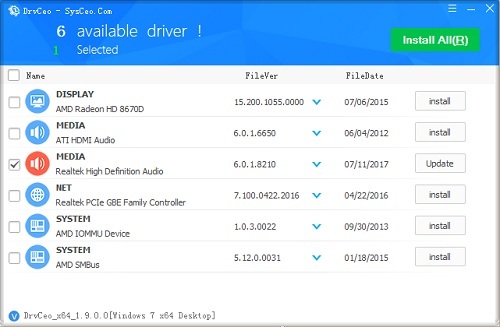 DrvCeo DriverPack Windows 10×64 (64bit) is the best portable program for installing and updating drivers that does not require an Internet connection, separately for each version and bit depth of Windows. The Chinese version of driverpack and installer that can automatically install and update the drivers on your computer. Differs in stability of work, the small size, accuracy of definition of unknown devices. The interface is friendly, easy to use, multifunctional, customizable, with a number of exclusive technologies, easily solves many problems related to hardware. 1.7. [Repair] The phenomenon that the device is stuck on some machines in the deployment environment (returner: endless~ future). 2.7, [Disk Controller] Win10 x64 added AMD TR4 RAID driver (driver file version: 9.2.0.00070).